Free cosmos vector download with a purple background image decorated with glowing circles and a twisting and folded wire frame ribbon. This digital style graphic is a cool desktop wallpaper, printed banner, smart phone case cover or splash page for a dynamic Power Point presentation. 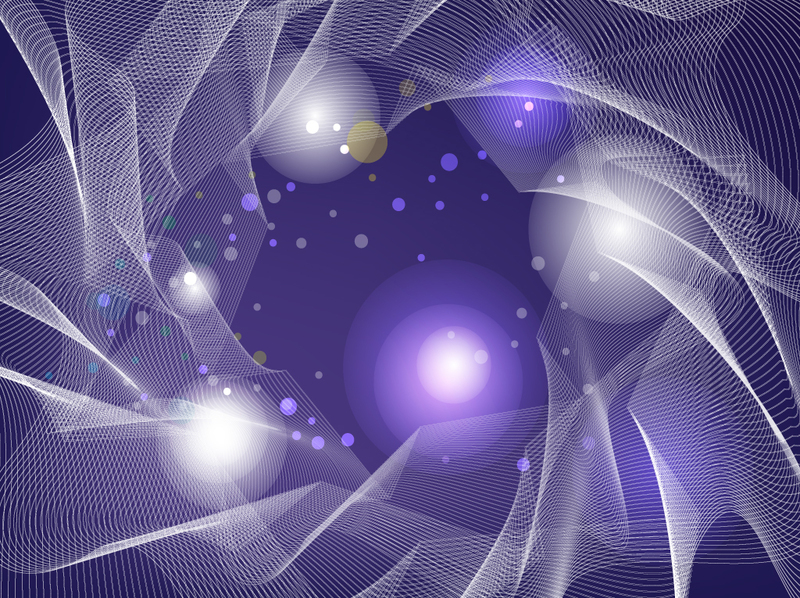 Great mesh vector footage for your universe, space travel, night sky, galaxy or cosmos designs. Tags: Cosmos, Hi-Tech, Lights, Night, Sky, Technology, Universe, Wire Frame.